The gender divide has grown this year, it was announced at the World Economic Forum this month, and nowhere is this divide more problematic than online. Today, 250 million fewer women than men are online, despite international commitment to equality on the Internet. “In an increasingly connected world, women are being left behind,’ says the State of Broadband Report, and the digital gender divide not only far too wide, but is actually widening, from 11% fewer women online than men in 2012 to 12% in 2015. It is a disparity more pronounced in low and lower-middle income countries. The digital divide itself is closing – a decade ago, barely 20% of the world was online: this year we passed the halfway mark: 3.8 billion users. 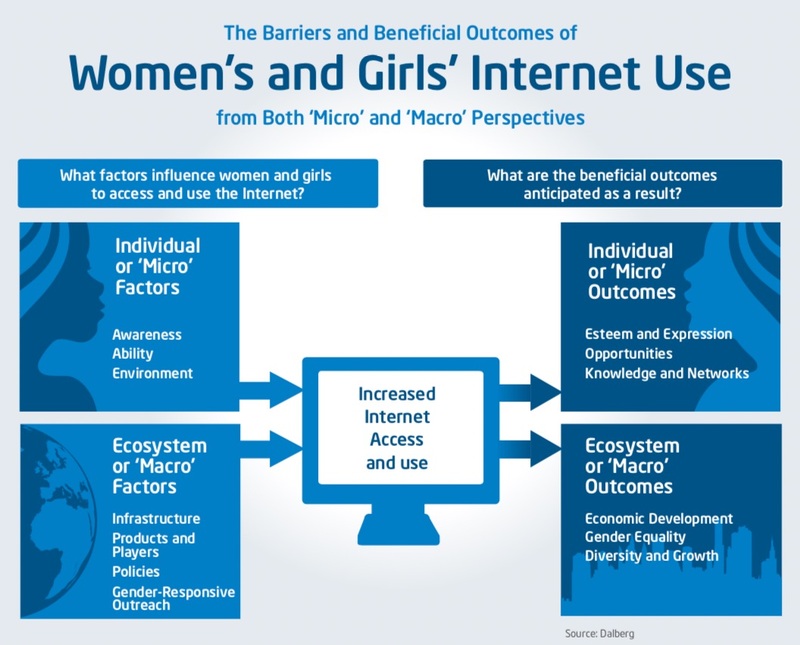 But growth has not been equitable: women are about 50% less likely than men to use the Internet. The divide is both a symptom and cause of offline inequalities, and many are calling on national governments to take action on their international commitments. “Policy failure is why the offline inequalities exist in the first place, and are leading to divides and compounded inequalities online,” says Nanjira Sambuli from the Web Foundation. The UN Sustainable Development Goals (SDGs) realised the importance of connectivity – Goal 5B on Equality set a target for equal access to technology, including communications technology; Goal 9C set a target for universal access to communications infrastructure. But despite these commitments, there is little concrete planning at national level, leaving women offline and unable to use the Internet to realise their rights, create, consume, engage economically, or seek information. Far from being an equaliser, the Internet is amplifying offline gender inequality, and the solution has to come from governments, says Sambuli, who is calling for closer collaboration between civil society and government in order to ensure that commitment is translated into real effects. The gap stems from social, economic, cultural and content-related factors which vary between regionally but tend to include limited digital skills, costs of data and Internet-enabled devices, a perceived lack of relevant content, and, in some places, a sense that the Internet is not an ‘appropriate’ place for a woman to be. Policy needs to take into account that connectivity, as well as the development and use of technology, is subject to cultural biases in their contexts: as well as whether women are online, what they are doing online is strongly influenced by offline inequalities. Only a small minority seek out information on topics key to achieving their rights, and an even smaller percentage participate in political debate or community affairs, engage in political spaces or search for jobs. 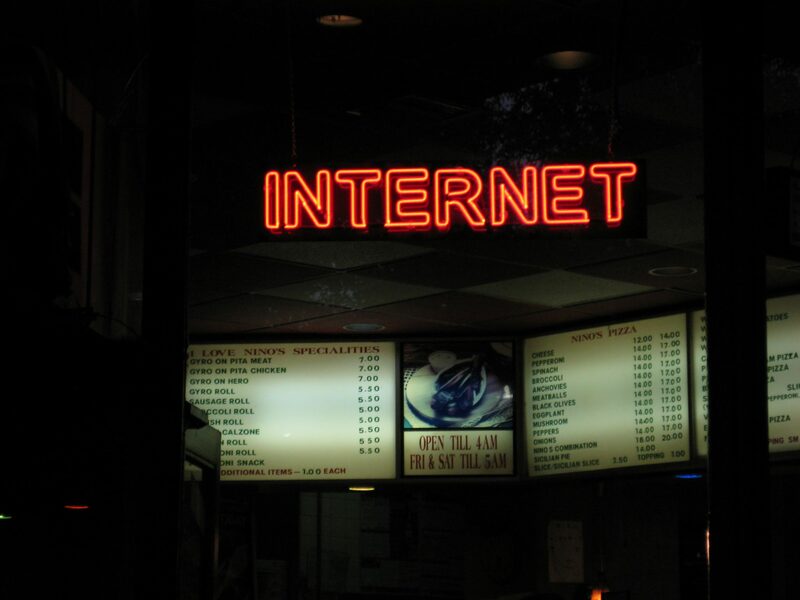 ‘A healthy Internet is an equal Internet’ – what’s the diagnosis? The gender gap in connectivity is smallest at the lowest income levels, and highest at middle income levels. However, at every income level men are still more likely than women to be online, and the wage gap makes getting online proportionately more expensive for women. As education levels rise, the online gender gap closes, and women who have some secondary education are six times more likely to be online than women who have primary education or no education, while only 2% of women with no formal education are online. In addition, most ICT content is not available in local languages or dialects. Mobile connectivity faces similar challenges: 200 million fewer women than men own a phone in low- and middle-income countries, and are a third less likely than men of similar age, education level and economic status to access the Internet through their phones. The rewards of closing the gap are not small: closing the gender gap in mobile phone ownership and usage could unlock an estimated $170 billion market opportunity for the mobile industry in the period up to 2020. There is real failure to move towards targets: research by the Alliance for Affordable Internet (A4AI) found that only 50% of countries had policies which were actually backed by financial support for implementation, and only 30% had detailed, time-bound plans for affordable connections meet increasing demands. A4AI say that in 41% of countries, national broadband plans for universal access have never been developed, or are badly outdated. Women’s inclusion and empowerment online needs to starting with commitment to data collection, digital skills, affordability, women-centred design, harassment tackled, and offline empowerment. The obstacles are significant: to shift them, the traditional relationship between government and civil society has to be move from an adversarial attitude to a proactive and pragmatic one. “The web can be for everyone, as envisioned by Sir Tim Berners Lee: to connect, co-create, consume, contend and more. It can also be a tool for addressing the many inequalities that predate it, but we have to make sure that everyone has equal access as a baseline,” says Sambuli.